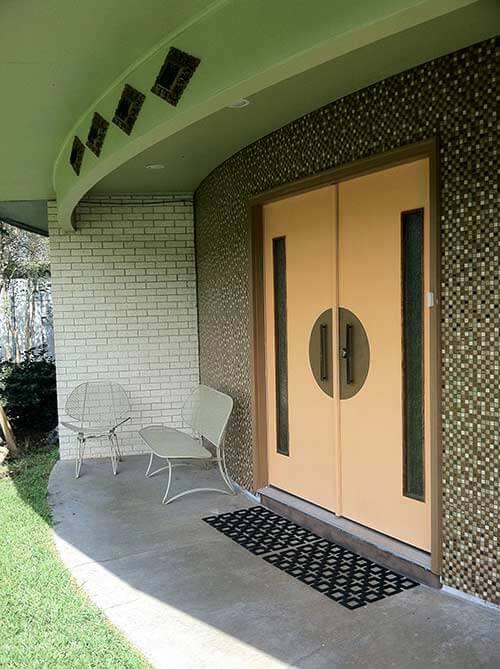 Breaking news today: There’s a new player in the increasingly competitive market for mid-century modern style doors and decorative screens: The Millwork Market, based in Austin, Texas, has been in soft launch for several weeks, and today the company is officially throwing its doors (pun!) wide open to share all the details about their new venture. Thanks to a tip from reader Thomas, we are first on the internet with their news release and promotional photos… let’s take a look. The Millwork Market is an all-new enterprise started by a team that has 18 years of experience in the hardwoods and millwork industry, according to their website. To launch, they’ve created dozens of all-new designs for exterior doors, interior doors and decorative screens. Their interior doors actually marry a door frame with a decorative screen — very pretty and very intriguing to consider how to use in a house. The Millwork Market also told me that the company is planning to launch door-lite kits in the near future. official launch of their business and brand new online store, millworkmarket.com. The Millwork Market will offer distinctly designed decorative panels, interior doors, and exterior doors to a nationwide audience of trade professionals and homeowners. Although shoppers have a variety of options when choosing where to purchase millwork and doors, The Millwork Market is proud to offer a large library of unique designs, as well as a commitment to high quality craftsmanship and customer service at an affordable price. “We are an all-American business built on an unwavering set of core values that are reflected in everything that we do. Whether we’re building a large batch of interior doors for a hotel chain, or just one door for a local homeowner, every order is handled with delicacy and care,“ says CEO Julie Henry. The Millwork Market is proud to offer their customers the ability to buy online. Shoppers can use the website to order over 75 unique designs of their standard sized decorative panels, exterior doors, and interior doors. exact specifications. They can come fully milled or semi-milled, framed with standard hardwood rails, and primed to match any style decor. They can be installed as a room divider, partition, pocket door, barn door, and more. Custom specifications are available upon request. Pricing for decorative panels starts at $1,076.00. Decorative panels can be viewed here. The Millwork Market’s interior doors are made from durable ultra MDF, and available in a 1 decorative panel or 2 decorative panel design. They are available in two standard sizes of 32” x 80” and 36” x 80” on the company’s website, or built to custom specifications upon request. Acting as both an entryway and an architectural element, this interior door collection provides sound reduction, privacy, and a beautiful design element to any style interior. 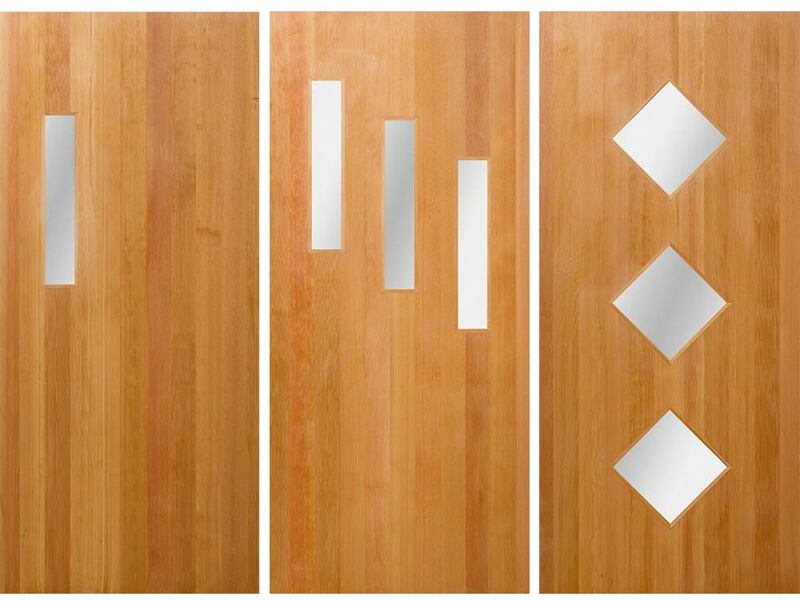 Pricing for modern interior doors starts at $1,200.00. Modern interior doors can be viewed here. The Millwork Market’s exterior doors are built with a solid core and birch veneer, available pre-hung or slab only, and CNC cut to fit over 23 modern light designs. The glass, available in clear or reeded, is double pane and tempered for security, and the standard size of 36” x 79 – ¼” is available on their website. These modern exterior doors bring a sharp design element to any home’s exterior, while simultaneously providing privacy and additional natural light in the entryway. Custom specifications are available upon request. Pricing for modern exterior doors starts at $1,176.00. 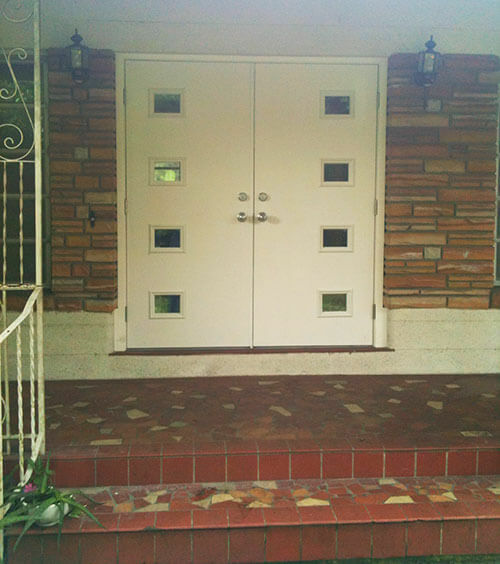 Modern exterior doors can be viewed here. Welcome, The Millwork Market, to the mid mod mad design world! Read all our stories about mid-century modern style door options in the category Exterior / Accessories and Hardware. Does anyone know if this material holds up for a load bearing wall?